WHAT IS Miracle at kennesaw state? We are a student run philanthropy dedicated to raising funds to better the care at Children's Healthcare of Atlanta by dancing for those who can't. what we are and why we dance! We fundraise year-round to raise money to benefit our local Children's Miracle Network Hospitals. Our DonorDrive is live! Click the JOIN tab to sign up and begin fundraising. year-end event and final celebration of the fundraising that takes place through out the year. On the day of Dance Marathon, the Kennesaw State students come together to hear Miracle stories, learn a dance, and fellowship with others who have the same goal in mind; to raise money For The Kids (FTK)! 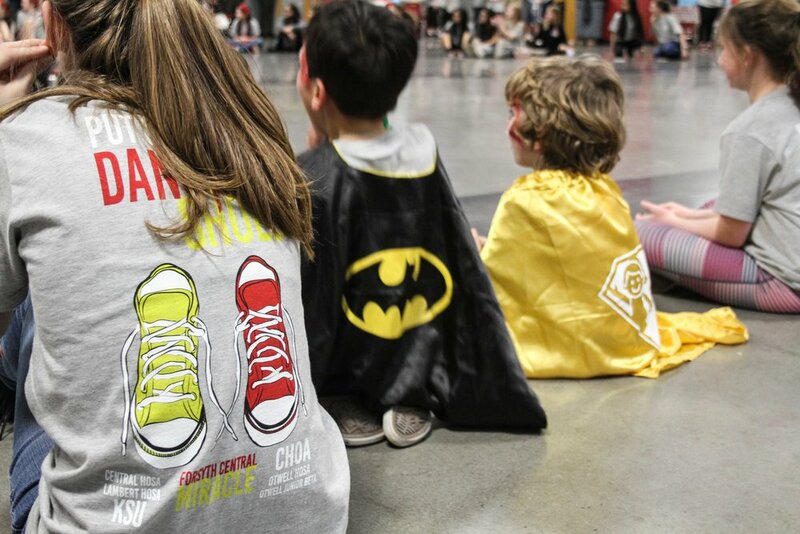 Miracle at KSU sponsors multiple mini marathons each year at local middle and high schools because we are one generation fighting for the next, but we believe that they should be allowed to fight for themselves as well.